Now that the warmer weather is finally here and hopefully plans on staying around for awhile, we get to start doing all of those fun summer activities that we have all come to love. Whether you enjoy camping, having little get-togethers, or laying by the pool, there is always one thing that we all can’t resist and that’s grilling. The delicious aroma of the food cooking that you can smell from a mile away and the sound of family and friends enjoying each other’s company while enjoying those juicy burgers or steaks fresh off of the grill. There is not much that compares to those kinds of summer nights. If you are the one who is in charge of the grilling festivities, then you know how important it is to have all of the necessary grilling accessories at your fingertips. You may even spend weeks preparing for the ultimate family cookout and there is nothing worse than not being prepared. Having the proper grilling accessories will keep things running smooth and efficient and will also allow you to spend less time worrying about the food and more time enjoying the company of friends and loved ones. When shopping for the perfect grilling accessories, there are so many options that it can feel a bit overwhelming. The important thing to keep in mind is that grilling accessories have more to do with your specific wants and needs. Each person is different. Some people like small, intimate cookouts, while others like to cook for larger groups. Below is a list of grilling accessories for all different needs. The Alpha Grillers 18” Grill Brush is truly one-of-a-kind. This grill brush was designed with efficiency and protection in mind. You can use this brush on virtually any surface without having to worry about damaging it, all while getting a deep, thorough cleaning. Plus, this grill brush is backed by a 1-year 100% money back policy that you won’t find anywhere else! This grill brush is made from stainless steel bristles that are not only rust proof but safe enough to use on any surface, even porcelain. This large brush is 3 times bigger than most standard grill brushes, which means you spend less time cleaning the grill and more time socializing with friends and family. 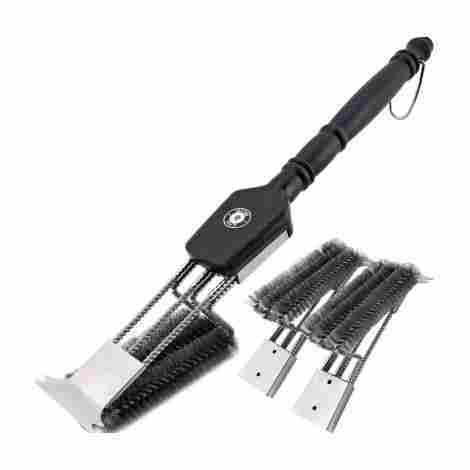 The Alpha Grillers grill brush was designed with extra long 18” handles, so you don’t have to worry about burning your hands over a hot grill. Even though these handles are long, you are still able to maintain full control of the brush, so cleaning becomes fewer times consuming and effortless. This grill brush may be a little on the expensive side, but keep in mind what you are paying for. This brush includes three replaceable grill brush heads and a 1-year money back guarantee. All of that, combined with the overall quality of the product is money well spent. The Ekogrips BBQ Oven Gloves are a grilling must-have. The unique silicone design offers heat resistant, so you are covered from every angle. These gloves are also backed by a lifetime replacement policy, so you really can’t go wrong with this choice. 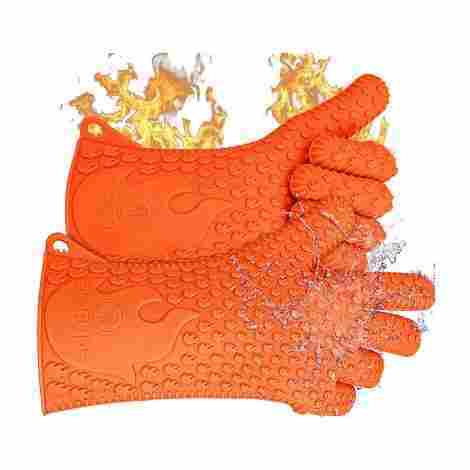 These gloves are made from a high-quality silicone that not only protects you from heat (up to 425 degrees), but it is also slip resistant and tear resistant, so you never have to worry about burning your hands or dropping a dish from being too hot. They were also designed with a long cuff that covers your wrists, so you know that you are fully protected. If that isn’t enough to catch your eye, they are also waterproof and BPA free. One of the best things about this product is that it is backed by a lifetime replacement policy that is 100% hassle-free, so if anything ever happens to your gloves, they will automatically replace them, no questions asked! The Ekogrips BBQ Oven Gloves are a little more expensive compared to other similar gloves, but you are getting so much more than just ordinary gloves. You are getting a high quality, heat resistant, slip resistant, tear resistant gloves backed by a lifetime replacement policy, so this product is worth every penny. 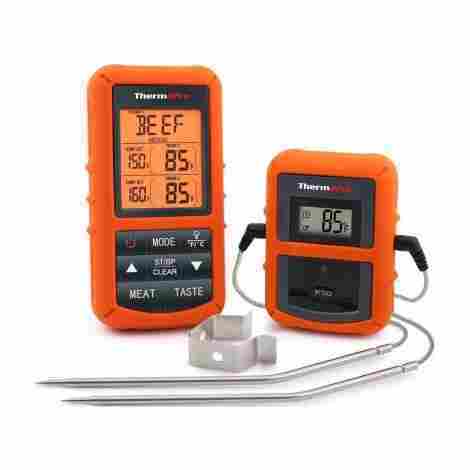 The ThermoPro Thermometer is a new, innovative way of checking the temperature of your meats. It is a hands-free, wireless digital thermometer that works from up to 300 feet away. This means you can spend more time mingling with friends and less time checking on your food. This product is also backed by a 1-year warranty and offers extended warranty plans as well. This meat thermometer is equipped with dual probes, so you can check the temp of 2 different kinds of meat at the same time. The probes are made from stainless steel that are food grade quality. The unique tip design allows for more accurate temperatures in a quicker time so you never have to worry about eating undercooked meat. The ThermoPro Thermometer has a unique preset feature that has 9 different meat temperatures already set up according to USDA standards. You can choose what level you want your food cooked at and this thermometer will notify you when it reaches that temperature. You can also easily reset these temperatures to your desired temperature. This meat thermometer is a little more expensive than other similar thermometers, but don’t let the price steer you in another direction. Between the dual probes, having the preset feature, and a 1-year warranty, you are getting an amazing deal. 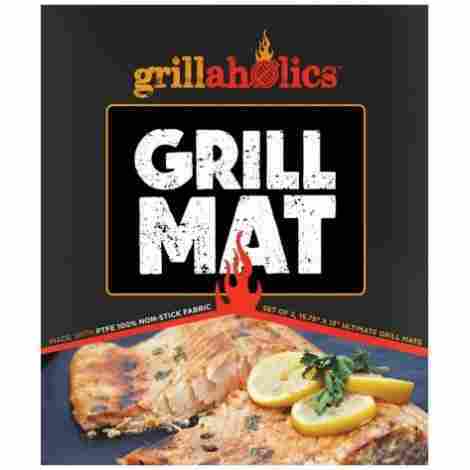 The Grillaholics Grill Mat is a multipurpose cooking mat that works on any type of grill. It can be cut to any desired size and is thin enough that you don’t lose that amazing barbecue flavor. This product is also backed by a lifetime replacement guarantee, so you don’t have to worry about your money going up in smoke! This grill mat is a master grillers dream and a definite grilling essential. It was designed at the perfect thickness, allowing for maximum flavor with every use. It can also be cute to fit any size grill and used as a baking mat because it is safe for ovens. If you have been hesitant about using a grilling mat because of a fear of harsh or harmful chemicals, you don’t need to worry about that with the Grillaholics Grill Mat. Their grill mats are made from a special PTFE-fiberglass coating that contains absolutely no silicone or other harsh chemicals that can harm your body. When considering the price of similar grill mats, these mats do cost a little more, but don’t let this price scare you off. The Grillaholics grilling mats are the only ones that are recommended by top chefs. If that is not enough to catch your attention, then their lifetime replacement guarantee sure will. With this lifetime replacement guarantee, you will never have to worry about buying another grilling mat ever again! The Hot Target Heavy Duty Tongs are made from a durable, heat resistant material, which makes them perfect for grilling. The silicone heads won’t scratch pans or grates and are dishwasher safe, which makes them easy to clean. These tongs are also backed by a 100% satisfaction guarantee, which is an amazing offer. The tongs themselves are made from a strong stainless steel that is corrosion resistant, so you know that these tongs were built to last. Even though these are made from stainless steel, they are still lightweight and easy to use. 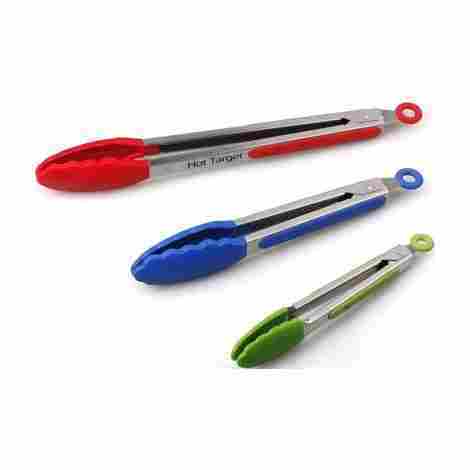 The heads on the Hot Target tongs are made from silicone that is 100% food grade. They are also BPA and PVC free, so you don’t have to worry about any of those nasty chemicals. The silicone heads are also non-detachable, which helps prevent bacteria from building up. When compared to similar silicone tongs, the Hot Target tongs are actually less expensive. Considering the quality of these tongs and the 100% satisfaction guarantee, this product is a great investment that is easy on your wallet. The Alpha Grillers BBQ grilling set comes with a spatula, fork, and tongs. These tools are made from a thick stainless steel, so you don’t have to worry about them bending. Since they are made from stainless steel, they can be used on any grill type and can also be used in the kitchen. This tool set also comes with a lifetime money back guarantee, which you won’t find with other major brands. This grilling tool set is made from a thick, durable stainless steel that won’t bend or rust. The overall sturdiness of these tools will have you flipping burgers like a pro and make you a huge hit at all of the block parties. These grilling tools are far from ordinary. The tongs are scalloped, which is great for salads and meats and it is also equipped with a hanging loop and a locking mechanism for hassle-free storage. The spatula comes in a larger size that has a serrated edge on one side, which is perfect for slicing through meat. 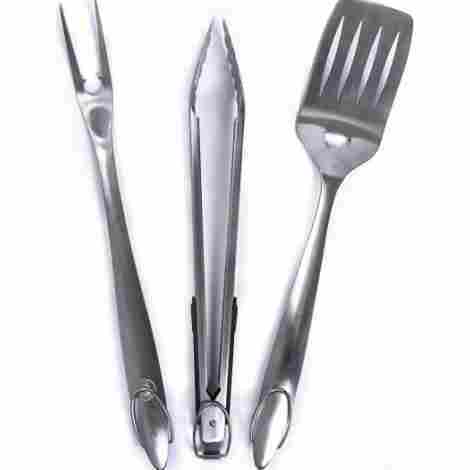 The fork tines are built extra sharp, so you can skewer your food with ease. All of these tools also have rubberized handles, which helps with overall grip and comfort. In comparison to other 3 piece grilling sets, this one is a little more expensive. Even though you might be paying a few extra dollars, you are getting amazing quality tools that come with a lifetime money back guarantee, so you really can’t go wrong with this choice. The Culinary Couture Silicone Cooking Tongs are made from a durable stainless steel and heat-resistant silicone tips, which makes these tongs dependable. They come in a 3-pack and have a whole variety of colors to choose from. These tongs also come with a 30-day money back guarantee, so what do you have to lose? These tongs are made from a high-quality stainless steel and heat-resistant silicone heads that can withstand up to 480 degrees. This 3-pack comes with a small tong which is 7”, a medium tong that is 9”, and a larger tong that is 12” to fit all of your serving needs. The Culinary Couture Silicone Cooking Tongs are made BPA free and are FDA approved, so you don’t have to worry about any of those harmful chemicals. These tongs are also safe to use on any cookware, even non-stick, and they won’t retain odors like other tongs. In comparison to other tongs on this list, the Culinary Couture tongs are a little bit more expensive. If you don’t mind spending a couple extra dollars on a good quality set of tongs, then these are a perfect choice. Don’t forget that they come with a 30-day money back guarantee! 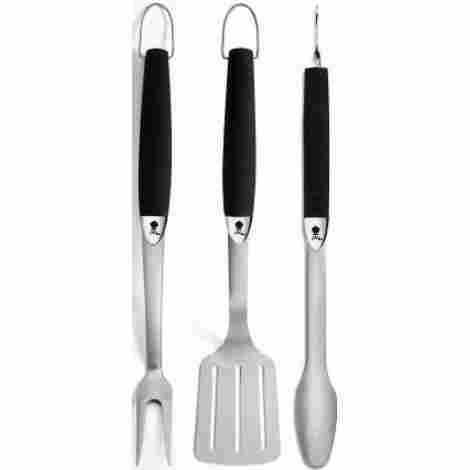 The Cuisinart CGS-134 Grilling Tool Set is a 3 piece set made from stainless steel. The handles have rubber grips for added comfort and they have an assortment of colors to choose from. You also get a grilling glove as an extra bonus with this set. This grilling set is also backed by a 1-year limited warranty, so you don’t have to worry about wasting money. This grilling tool set comes with a grilling fork, tongs and a spatula that are all made from stainless steel. They also have built-in stainless steel hooks that make storage hassle free. As an added bonus, the spatula has a bottle opener built in, so you can enjoy a cold one while grilling out on those hot summer days. The Cuisinart Grilling Tool Set has special handles that are elongated, so you don’t have to worry about burning your hands over a hot grill. The handles are also equipped with rubber grips for maximum comfort and sturdiness. When compared to similar grilling tool sets, this particular one is less expensive. Since this set comes in a variety of colors, the price fluctuates depending on your color of choice. Considering the quality of the materials and the 1-year limited warranty, this is a good choice that won’t empty your wallet. The Weber 6630 Stainless Steel Tool Set is a 3-piece grilling tool set that includes a set of tongs, a grilling fork, and a spatula, all of which are made from stainless steel. This grilling toolset was designed with quality and comfort in mind. The non-slip handles allow for maximum control and the durable stainless steel allows for a longer lifespan. This grilling tool set is equipped with comfortable, non-slip handles. 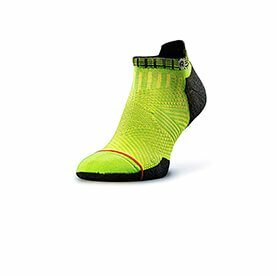 This allows for the ultimate comfort all while being able to maintain maximum control. This is important because you are working on a hot grill and don’t need to worry about burning yourself. 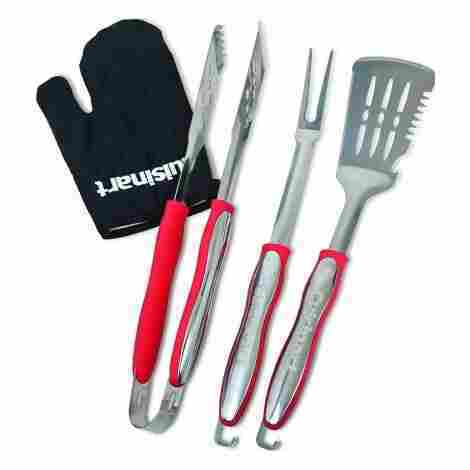 The Weber grilling tool set is also compact, which means they are easy to pack up and take with for any occasion. They are also dishwasher safe, so clean up is quick and easy. This compact style also makes for easy storage. When you look at other similar grilling tool sets, this one is a little on the expensive side. Considering that these tools are made from stainless steel, the non-slip grips, and their compact size, this grilling tool set is a great choice. The Kacebela BBQ Tool Set is a 19-piece grilling tool set that contains nearly all of your grilling needs. All of these grilling tools are made from premium quality stainless steel, so any rusting or breaking is out of the question. This tool set also comes with its own storage case and has a 100% money back guarantee. This grilling tool set comes with a whole array of tools that fit almost all of your grilling needs. It includes 1 set of tongs, 1 brush for basting, 1 grilling fork, 1 extra sharp knife, 4 grilling skewers, 8 corn cob holders, 1 grill cleaning brush with 1 extra grill brush head, and 1 multifunctioning spatula that contains a bottle opener and tenderizer blades. All of these tools are made from high-quality stainless steel and are equipped with their own loops for easy storage. The Kacebela BBQ Tools Set also comes with its very own storage case. This storage case is made from aluminum, so it is lightweight and easy to carry. The storage case also has a designated spot for each tool, so packing it up and traveling with it is a breeze. 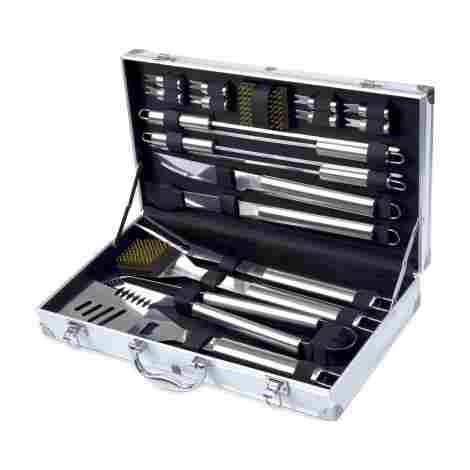 In comparison to other similar 19-piece grilling tool sets, this one falls into the average price range. When you look at all of the tools that are included, the overall quality of the products and the 100% money back guarantee, I would say that it is money well spent. Whether you are grilling for a few people or a larger crowd, it should never feel like work. Grilling out should be a somewhat effortless task where you can socialize with everyone and enjoy yourself. Keep in mind that grilling is a time for togetherness. It is a time for family gatherings, celebrations, and building memories. As long as you keep in mind the type of accessories you need for the kind of grilling that you plan on doing, everything else should fall into place. Hopefully, this list can be somewhat of a guide to help ease your shopping experience.